While the Earth is struggling under the threat of the complete devastation of its environment, humans continue to plough through Nature’s goodness, abusing and taunting her with our lucre laden plans. Now in the line of attack is Goa; the land of sunshine, beaches and the bountiful coconut tree. The Mormugao Port Trust (MPT) is slowly expanding its reaches to accommodate the temporary housing and transportation of coal from mines in Australia to steel and power plants in Karnataka. In 2012, the Goa State Pollution Control Board ordered the MPT to shut down coal handling operations at berths 10 and 11 because the people of Vasco were suffering the effects of pollution due to coal. Although there was compliance in this regard and limited coal handling at berths 5-A and 6-A, which were leased to Jindal South West Port LTD (JSW), the relief was short-lived. 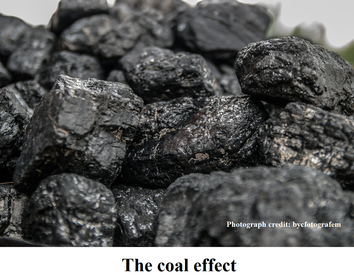 Coal pollution continued to increase because of the increase in coal and coke imports into the port and the low standards of handling and storage. They lie exposed to the elements and the sea winds carry the coal particulates into the city. The three proposed projects that are set to impact people in the vicinity of at least 10 to 15km from the site, are: the terminal capacity enhancement of berths 5-A and 6-A run by JSW at MPT, the deepening of the navigational channel to allow capesize vessels (the largest cargo ships) to carry coal into Goa and the redevelopment of berths 8 and 9 and barge berths operated by Vedanta Resources. The projects seem unrelated at the first glance, but taking into account the combination of the widening of roads and rails, and the dredging and nationalisation of rivers, Puja Mitra of Terra Conscious says, ‘We now know, through significant conversation with people who are looking at all these different things, that this is all happening to turn Goa into a major coal port where coal will come by the sea, maybe from mines in Australia…Indonesia, carried by capsize vessels.’ The coal will be washed and stored at MPT. As in the present scenario, the coal will most probably remain uncovered. This coal will then be taken by trucks and railways to Bellary in Karnataka to the Jindal steel factory and the proposed power plants. The impact of these operations will run through the lower Western Ghats, including the Bhagwan Mahaveer Sanctuary and Mollem National Park, with 7,000 to 10,000 trees cut down to facilitate them. MPT wants to gradually increase its capacity from 12 million tonnes to 51 million tonnes of coal. Making Goa a coal hub saves the companies involved the cost of traversing the country by using ships to transport the coal to Goa instead. JSW, Vedanta, and Adani Ports and Special Economic Zone Ltd (APSEZ), which runs berth 7, or Adani Mormugao Port Terminal Pvt Ltd, do not have a good record when it comes to checking environmental damage due to their activities. Therefore, it comes as no surprise when the environmental impact assessment (EIA) funded by JSW simply states that the company will try its best to minimise and contain the damage without any other guarantee. The purported maintenance dredging, which is in truth capital dredging according to the project proposal, began at MPT without environmental clearance. Sixty five percent of the dredging had already been completed before a stay from the National Green Tribunal (NGT) halted the work. If the Ministry of Environment and Forest (MoEF) allows the environmental clearance, then the matter will be taken to court. There is an urgent need for all Goan people to come together and not leave it up to a few NGOs and fishermen’s associations to do battle because the environmental impact is going to be widespread and continuous. The consequences of these projects on 100km of coastline are negative effects on health and marine life and degradation of air, water and soil quality. All marine-related occupations are affected and people are being displaced from their homes. Bilge water from the ships carrying coal will add to water pollution. Already in Vasco there is serious coal dust pollution, the presence of fish has decreased and what is available is most likely contaminated with mercury from the coal. The dredging will result in a high rate of sedimentation on the coral reef surrounding Grande Island, which is within a 7km radius of MPT. The coral reef is vital to act as a barrier to climate change affecting the coast, it is a breeding ground for diverse species of marine life, and it is a natural filtration system for water. 44.6% of the corals have been affected by extra algal growth caused by the sedimentation. ‘Do we have a restoration plan, given that tourism depends on it… that our fisheries depend on it… that our climate change vulnerability depends on it? No!’ says Puja. 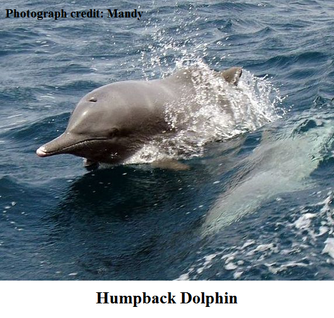 The vessels carrying coal pose a threat to aquatic life such as the humpback dolphin with a danger of striking them. As it is effluents are being dumped into the sea without being treated. Now we will have coal and mixed metal to deal with as well. Not only can this decimate the entire population of fish, humans will feel acutely the effects of ingesting anything that survives. 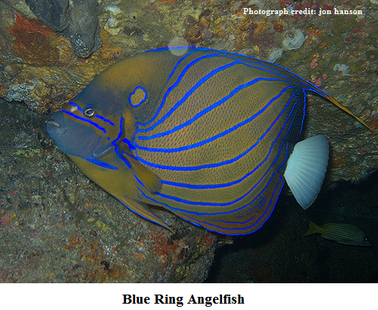 The EIA claims that there is no consequential endangered marine life in the area and around Grande Island, but underwater video footage shows blue ring angelfish, whale sharks, lion fish, puffer fish, moray eel, humpback dolphin, etc are in residence here. Dredging will remove all traces of benthic animals that are essential to the marine ecosystem. The windowpane oysters found in the Chicalim Bay are at risk too. Dolphins, apex predators that play a significant role is the ecosystem, will move away from Dona Paula. If large numbers of dolphins disappear, this can result in a trophic cascade where one by one the next species in the food chain will be affected. Considering that 70% of our oxygen comes from the ocean, we would be wise not to upset the ecology of the ocean and choke it. The EIA states that the marine ecology cannot be restored after the projects are completed. Human health is directly affected by the pollution caused by all activities related to coal, leading to the occurrence of asthma, cardiac arrest, stroke, pulmonary thrombosis, etc. Imagine how far the problems will extend geographically when MPT hits the 51 million tonnes mark. The impact zone includes Old Goa, Chicalim Bay, Vasco Bay, Dona Paula, Dabolim airport, Grande Island, Fort Aguada, Reis Magos Fort, State Museum, State Library, the beaches at Miramar, Candolim, and Colva, Mandovi Bay, Salim Ali Bird Sanctuary, etc. The dredging and widening of roads have made the headland at Sada, which is close to MPT, unstable. We have a beautiful and unique environmental heritage in Goa that can draw in tourists in huge numbers and boost our economy through sustainable tourism; tourism that will offer more job opportunities to natives of the state. Terra Conscious is a good example of an ethical tourism based organisation that combines marine conservation with dolphin watching trips. Let us look towards a positive future for our state by adopting and supporting eco-friendly practices that can bring a real, long-term benefit to people as well as the economy. This article is based on a talk given by Puja Mitra at Casa Moeda, Goa.